Born on May 8, 1936, in Peoria, Illinois, as Barbara Jean Whelan, Barbara, sadly, at age 79, has passed away. Idyllwild, California, has been her permanent home for more than 15 years. Barbara suffered a serious stroke while going about her daily activities on Feb. 25, and was emergency airlifted to Desert Regional Medical Center. On Tuesday, March 1, 2016, Barbara Jean Burgess crossed due to complications of the stroke. Barbara was very active in her community. A long-time member of the Mountain Quilters of Idyllwild, she very much enjoyed quilting and was involved in many charitable activities through her art as a quilter. 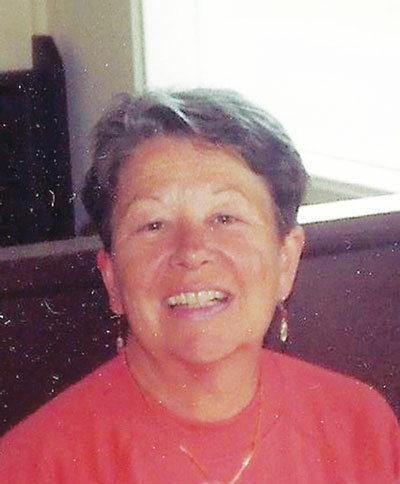 She was known for her concern for many and reaching out to others throughout her days as a long-time Idyllwild resident. Barbara had many interests, including her involvement with the Idyllwild HELP Center and her volunteer work for the local American Legion chapter of Idyllwild, as well. Barbara had a true love for the Idyllwild Arts Academy and the arts, in general. She was indeed known for her generosity by many in the community. She had many challenges in life but one of the most difficult suffered was the sudden loss of the love of her life, David Burgess. David, like Barbara, also was known for his generosity and involvement in the local community. Barbara is survived by three sisters and will be truly missed, but indeed also remembered for her no-nonsense demeanor and get-down-to-business resolve. Barbara was truly a unique individual and underneath it all, though she did not suffer foolishness easily, she did leave her inimitable mark on Idyllwild, California, through her ongoing generosity and concern for others throughout her final days.